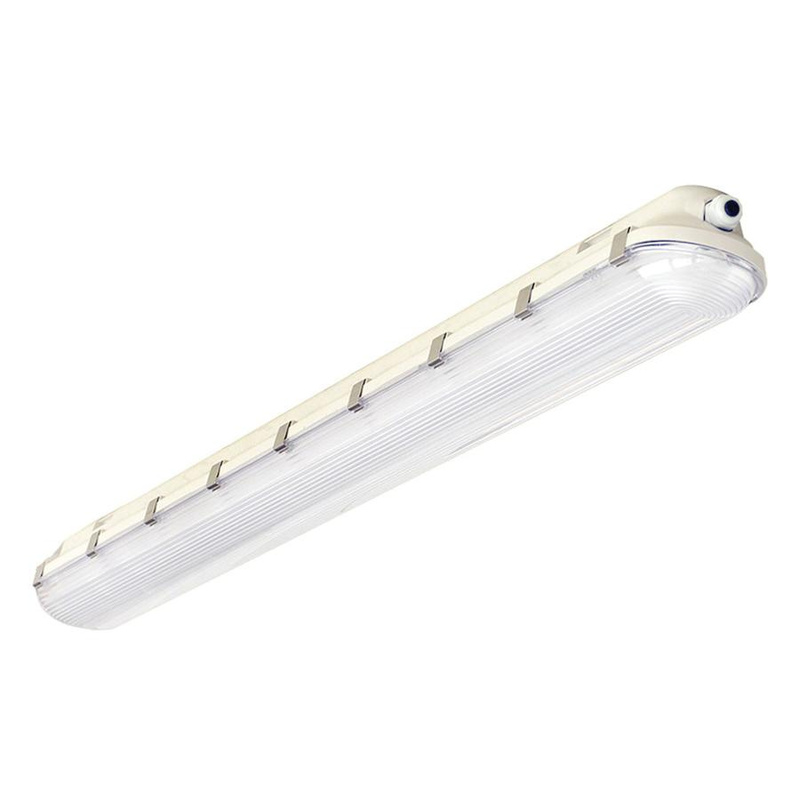 ASD Lighting Standard Series LED Vapor-proof fixture in white color, employs 60-Watt LED lamp with average life of 50000 hours to deliver a light of brightness 6057 Lumens. LED lamp has color rendering index of 80 and color temperature of 5000K. It has voltage rating of 100 - 277-Volt AC and current rating of 700-Milli-Amps. Fixture features polycarbonate housing, stainless steel clips and clear lens with inside ribbing. It measures 59.1-Inch x 4.17-Inch x 3.3-Inch. Fixture supports surface mounting for making installation easy. Explicitly it is suitable for use in wet location. It has IP66-degree of protection for ensuring superior protection against the intrusion of solid objects and liquids. Fixture withstands temperature rating of -4 to 104 deg F. Fixture is cULus/DLC listed and FCC certified.